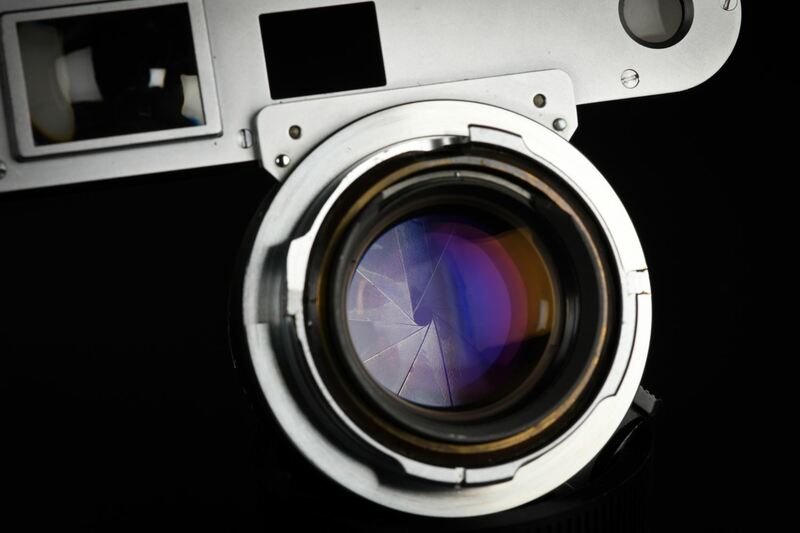 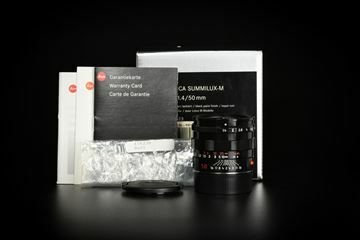 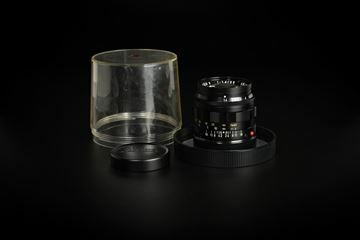 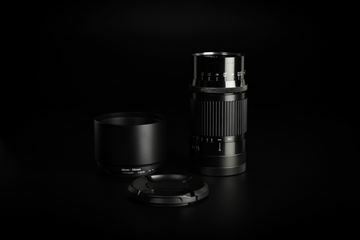 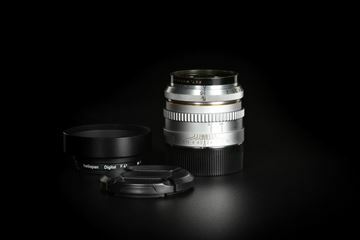 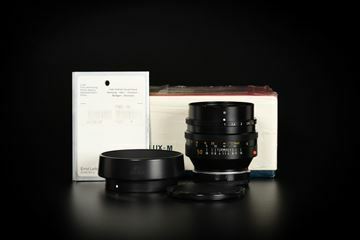 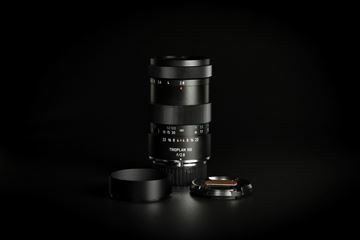 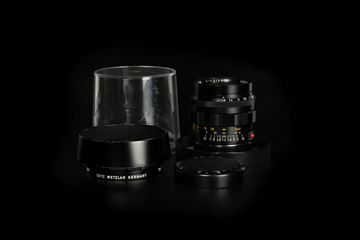 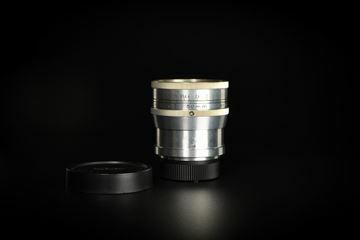 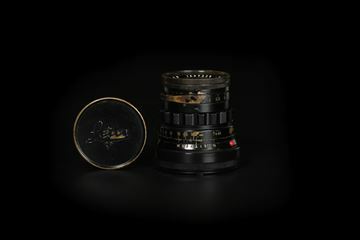 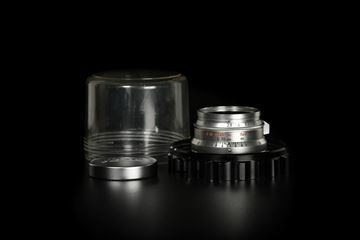 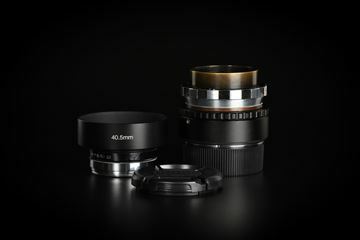 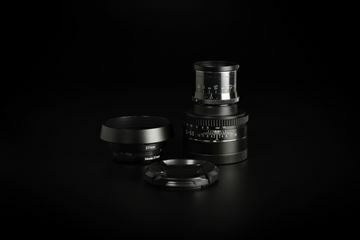 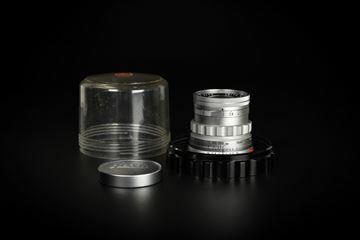 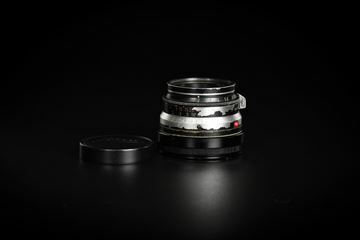 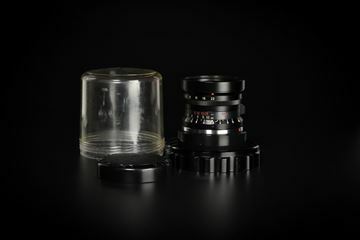 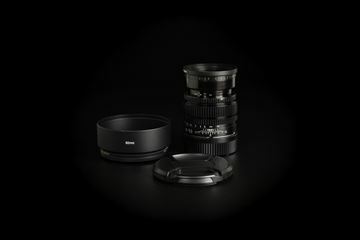 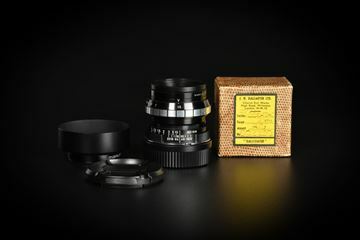 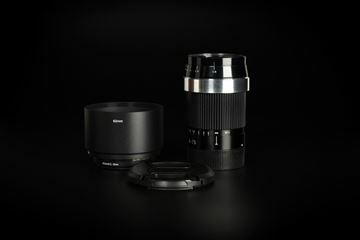 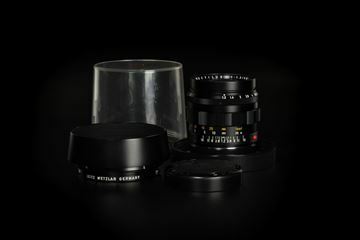 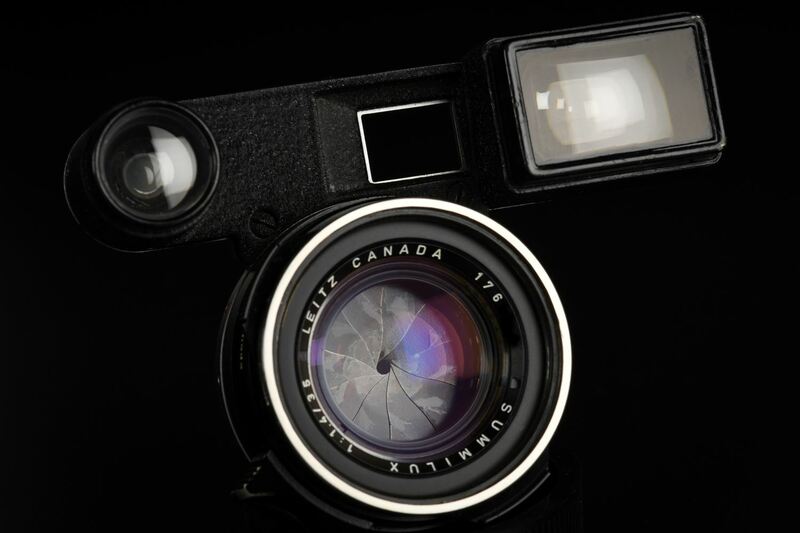 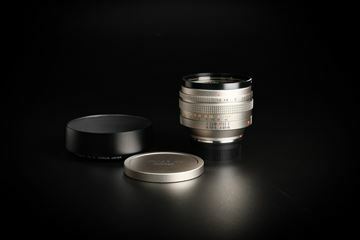 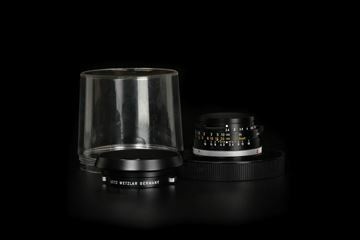 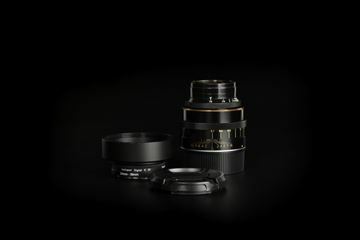 Extremely rare Summilux-M 35mm f/1.4 Ver.1 Steel Rim with M3 goggle version in Black. 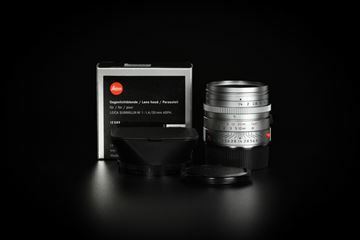 7 elements 5 groups. 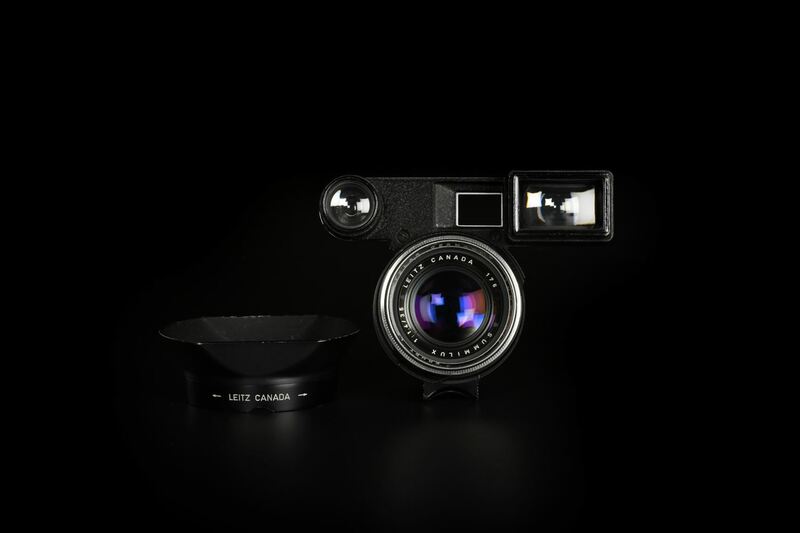 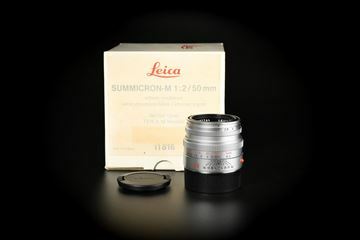 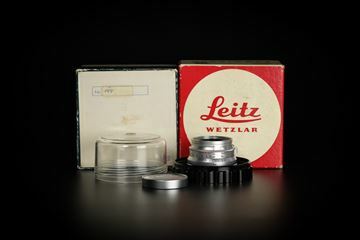 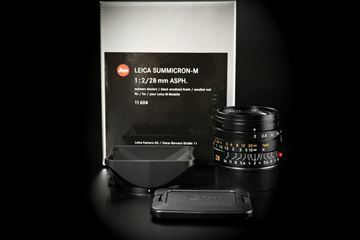 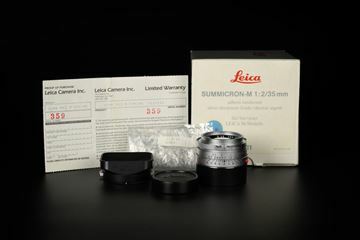 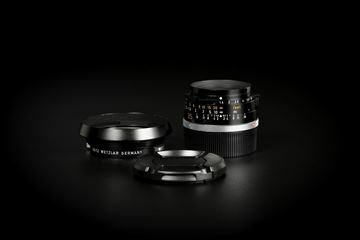 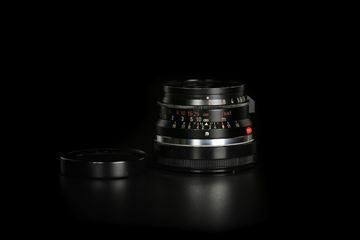 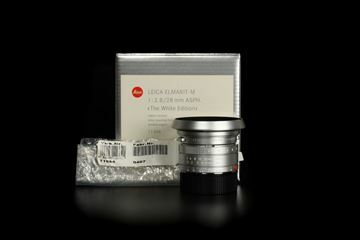 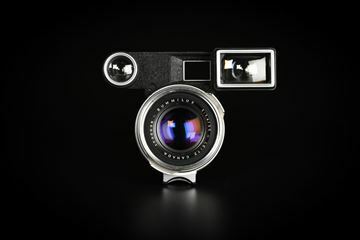 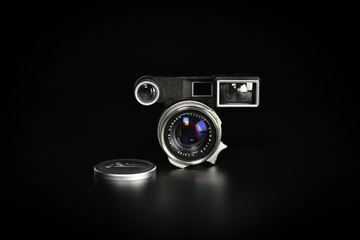 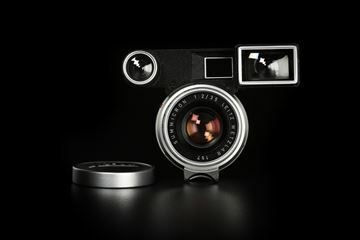 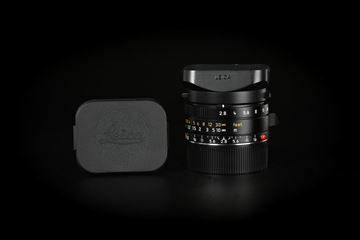 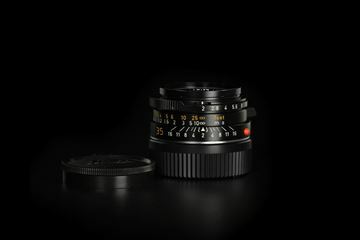 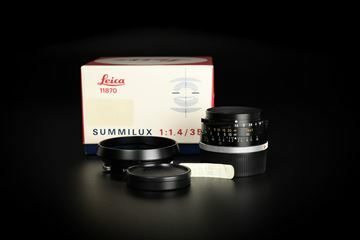 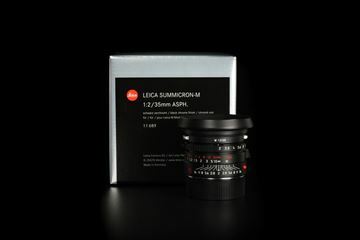 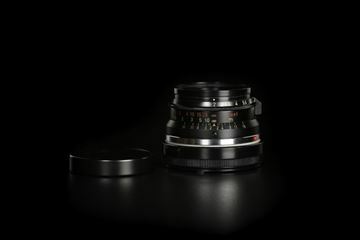 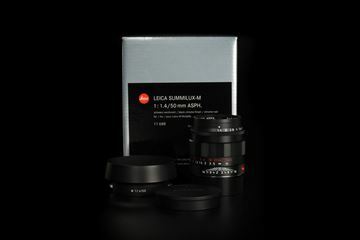 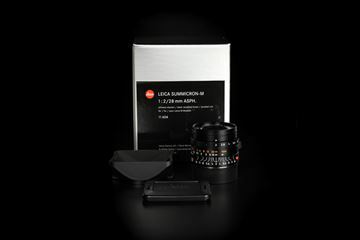 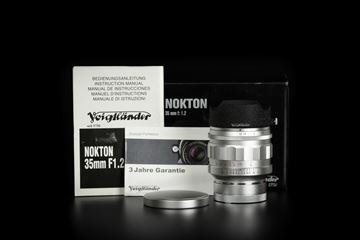 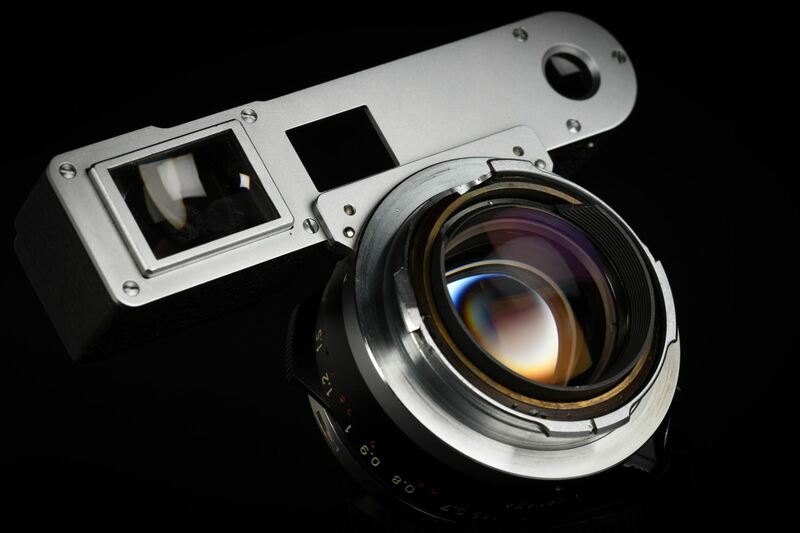 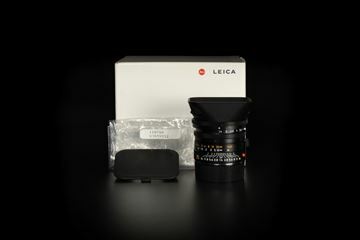 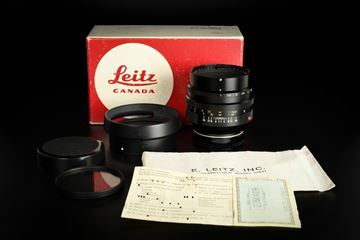 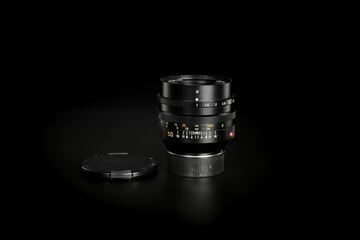 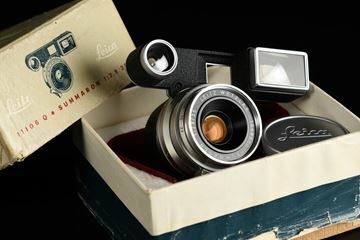 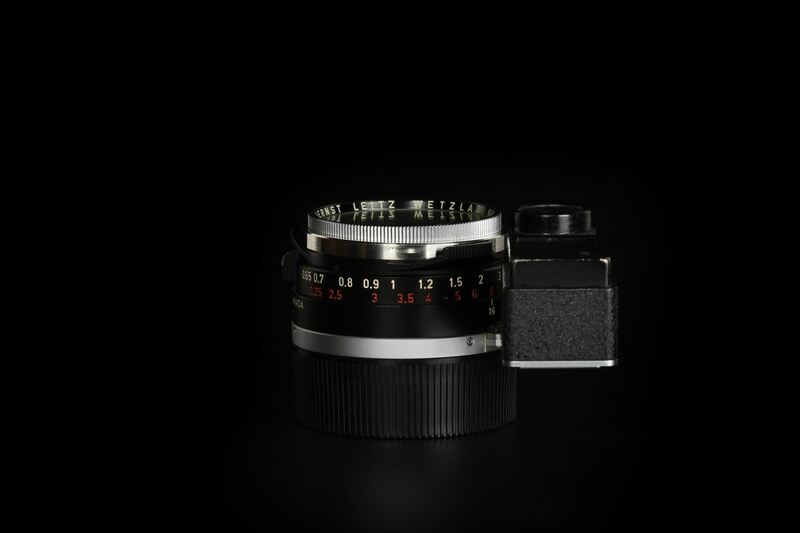 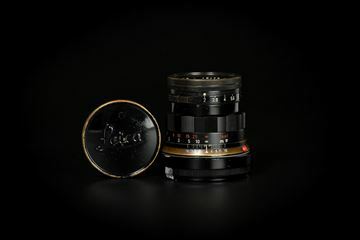 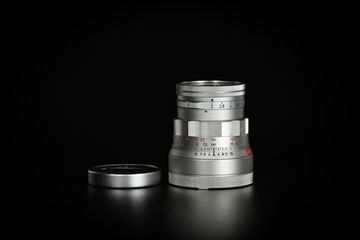 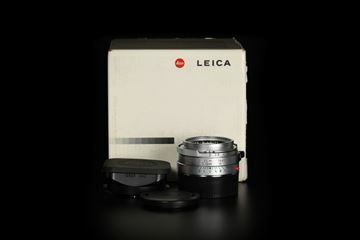 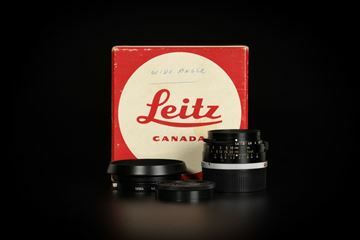 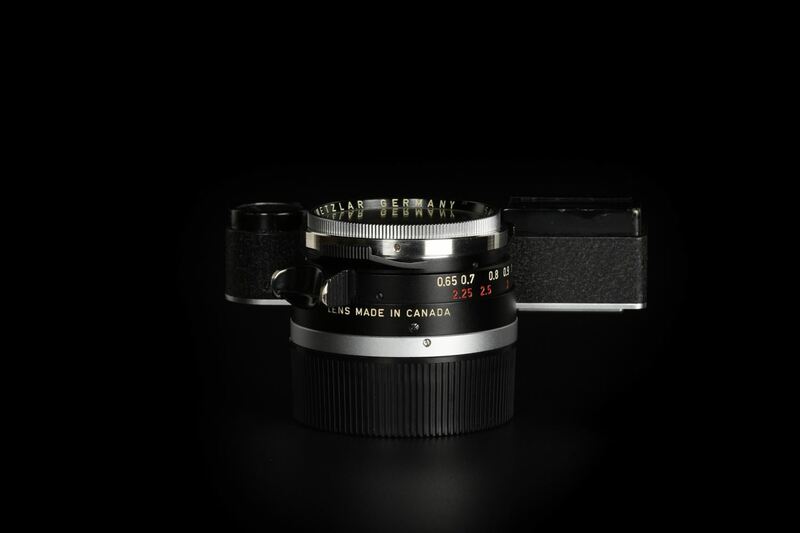 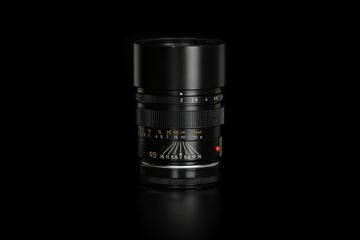 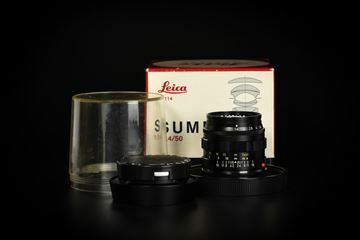 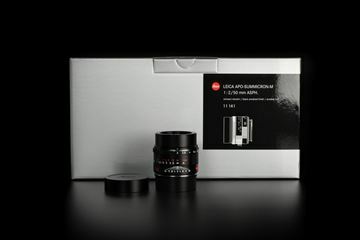 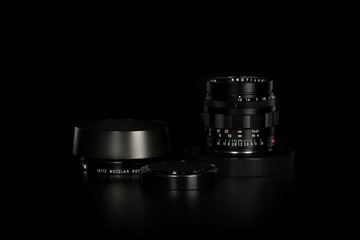 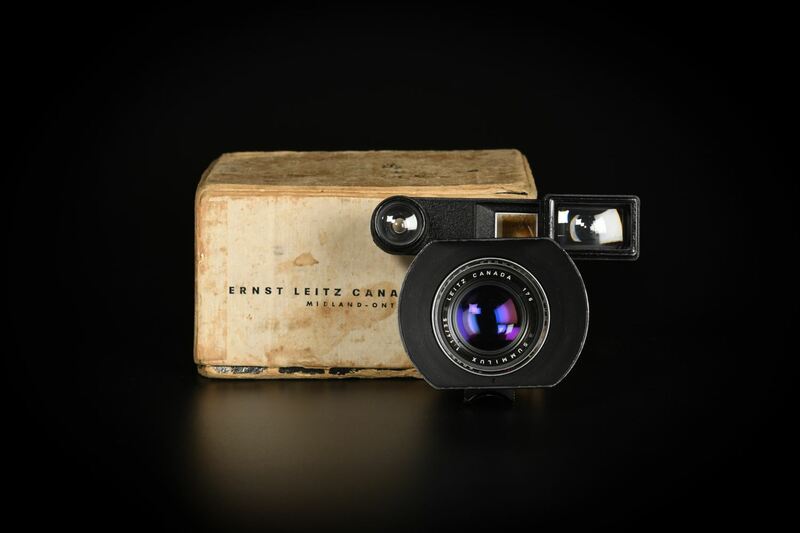 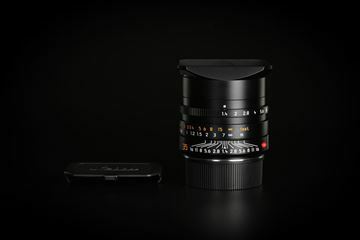 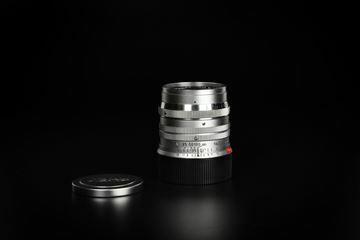 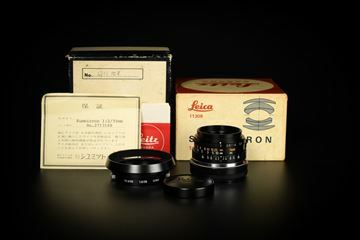 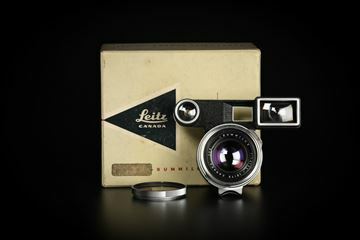 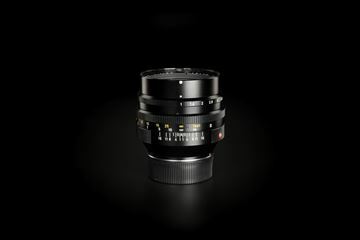 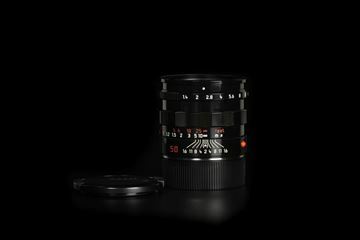 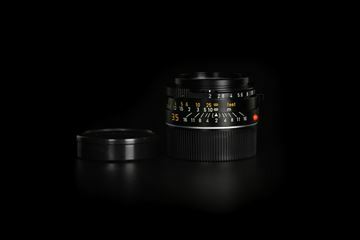 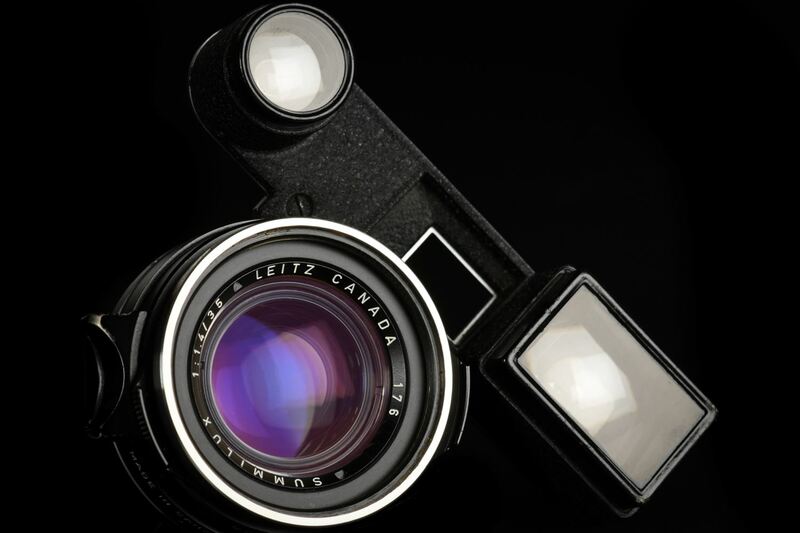 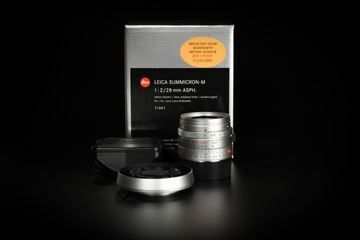 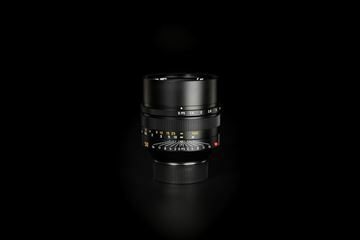 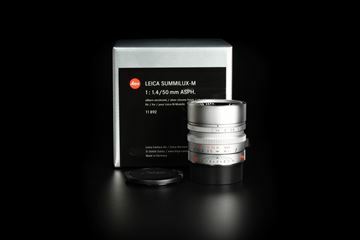 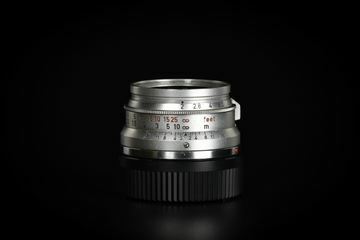 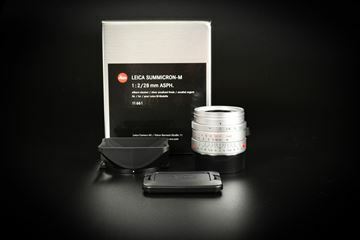 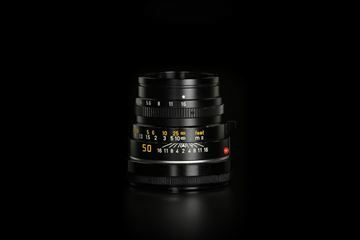 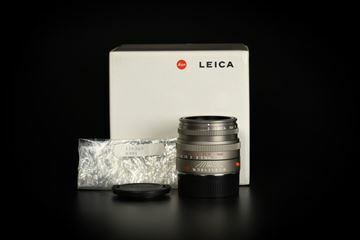 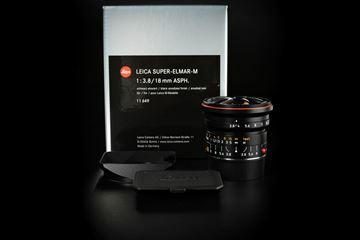 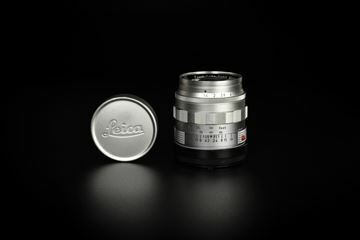 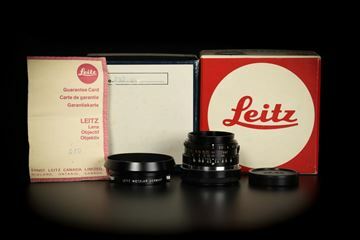 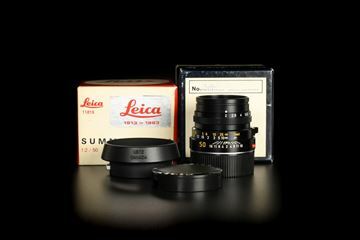 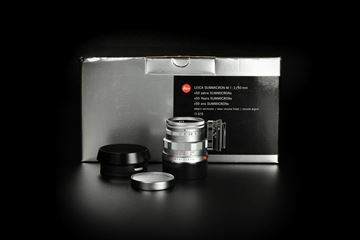 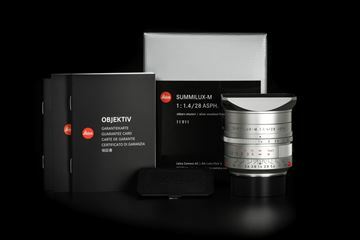 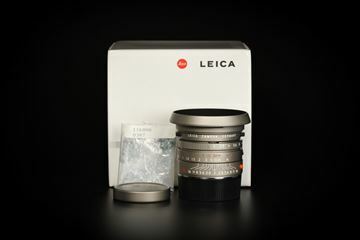 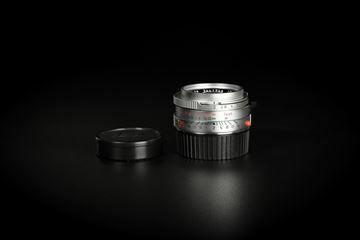 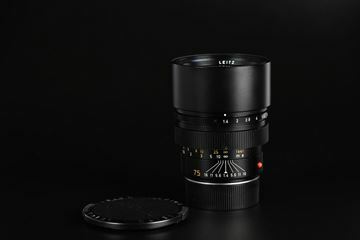 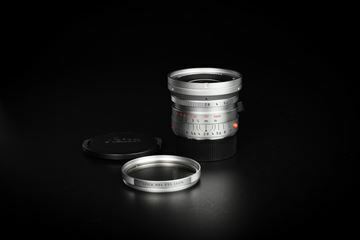 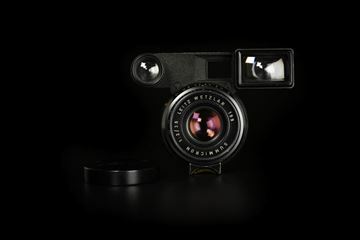 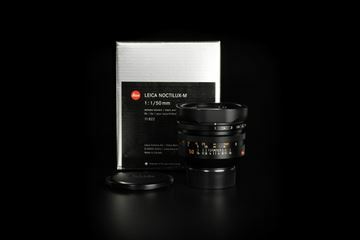 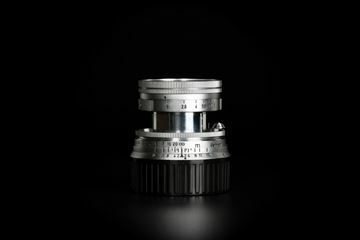 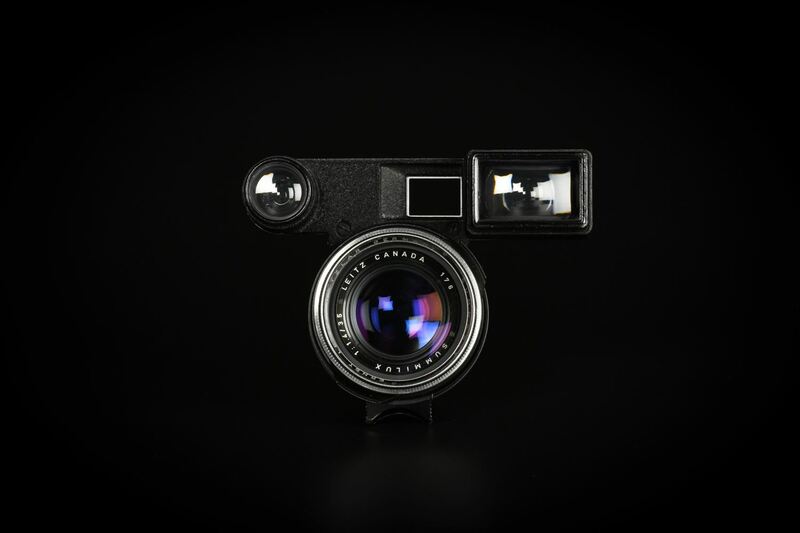 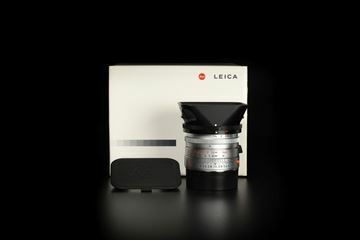 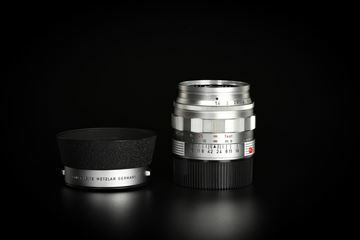 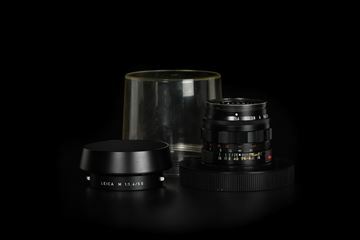 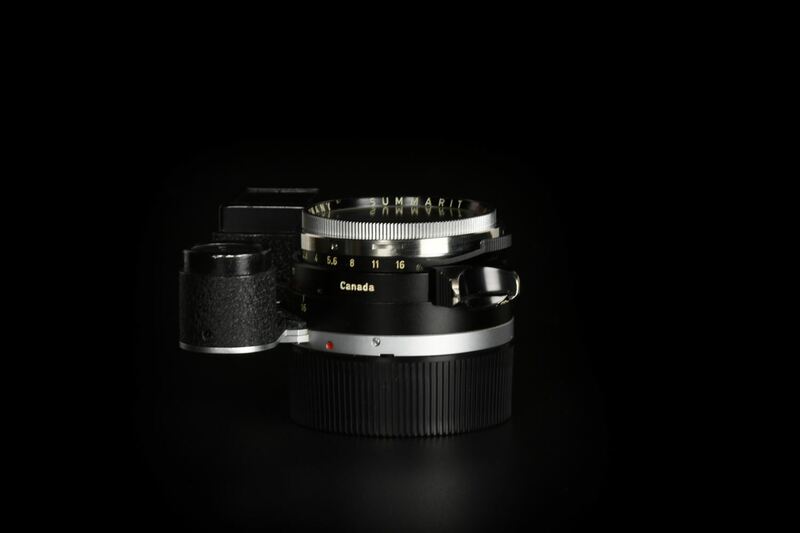 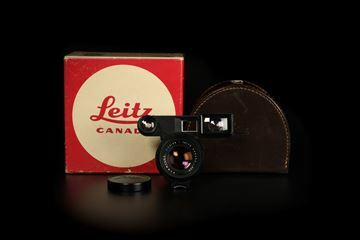 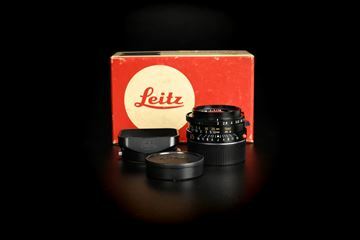 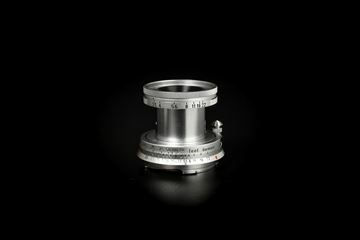 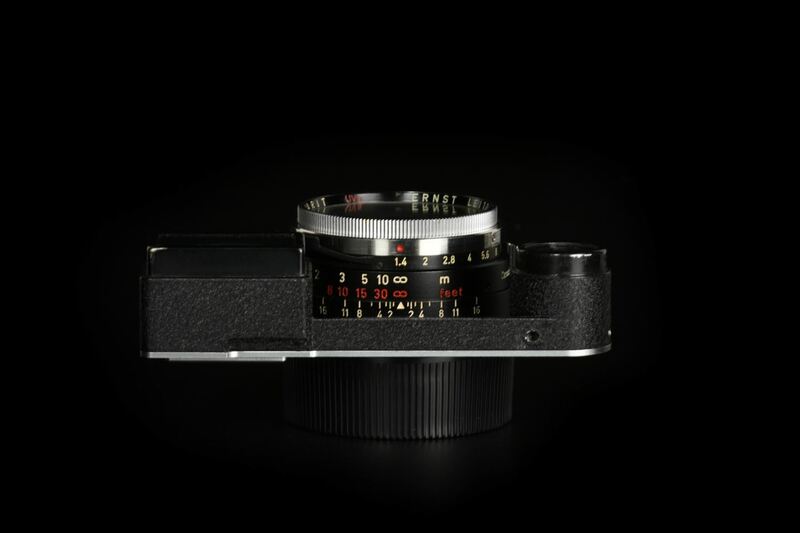 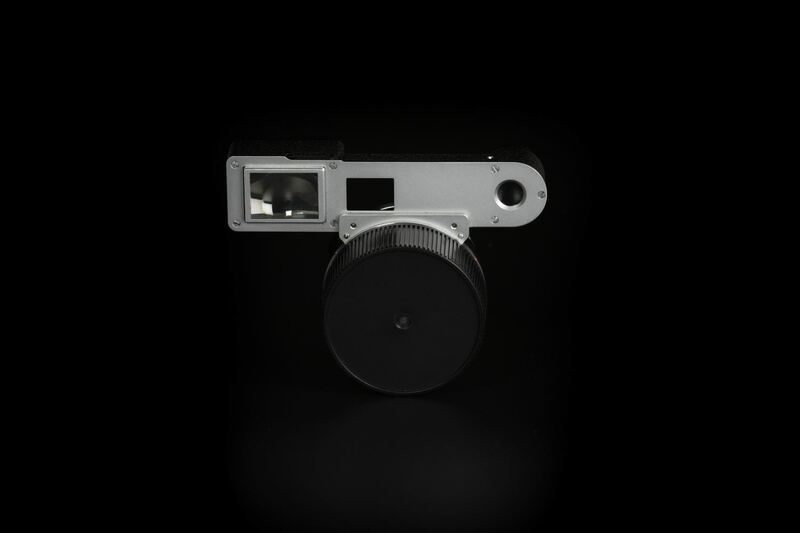 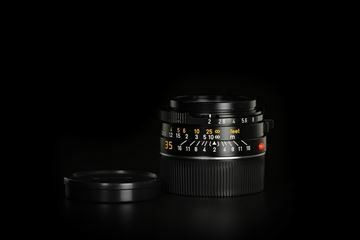 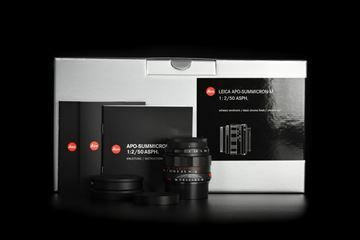 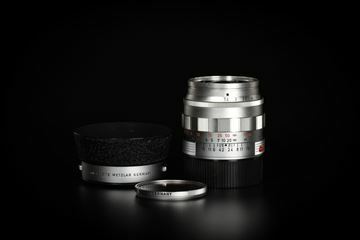 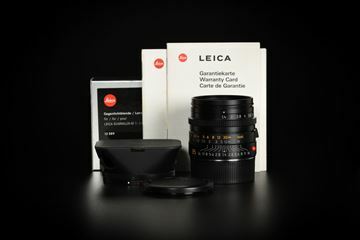 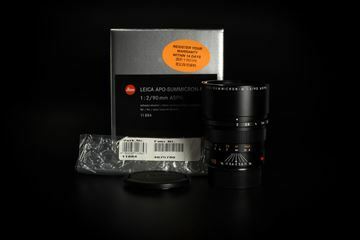 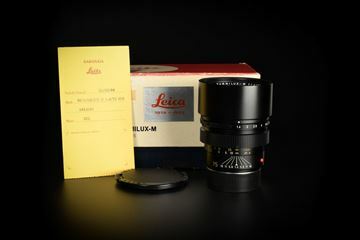 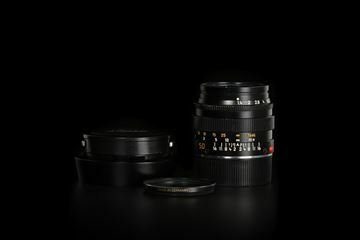 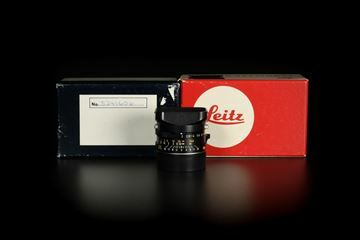 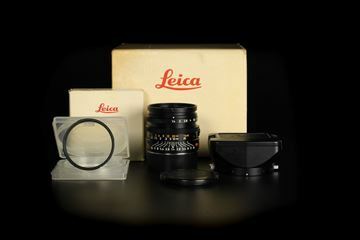 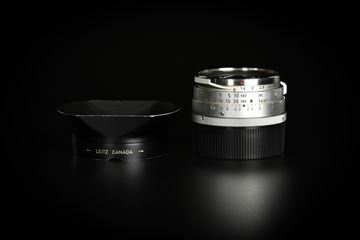 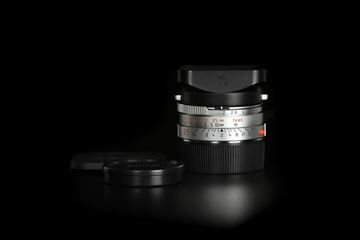 Should be the most compact 35mm f/1.4 Leica ever produced. 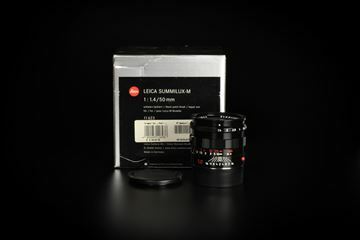 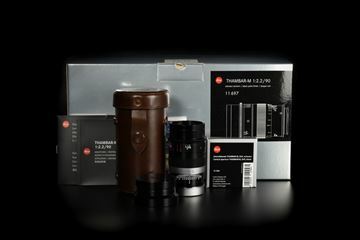 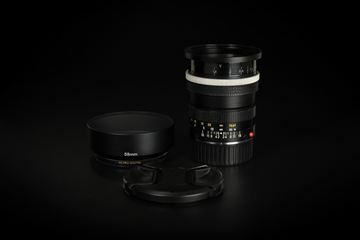 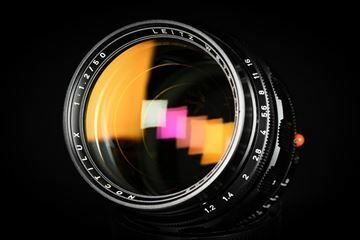 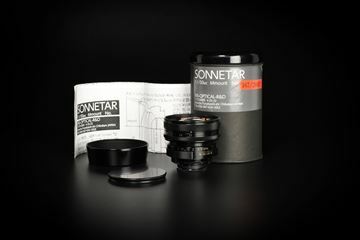 E41 filter size and 12522/OLLUX lens hood is used.